From the student section at Amsoil Arena to the Curling Club and beyond, I got you covered in all things UMD Bulldogs hockey. In all seriousness though, this series screams split. We went 1-1-2 against the Gophers last year, outscoring them 12-11 in the process. Every game was close. Mike Connolly going off for five goals at Amsoil and Kent Patterson stopping 78 of 82 shots - including some absolute beauties in the clutch - in a series at Mariuchi stand out as the most memorable moments from our meetings last year. Fresh off a Class 2A title at Eden Prarie, highly-touted freshman Kyle Rau teams up with Zach Budish and Nick Bjugstad on the Gophers' top line. In goal Patterson has always been good against the Bulldogs, posting a .936 save percentage and a 2.38 goals against, although he has only won one game in six tries. This weekend is paramount in building UMD's budding reputation as a true Minnesota hockey power program, as well as setting the tone for a successful run in WCHA play this year. Let's go get it. We had an electrifying 4-3 win Friday after raising the banner only to fall apart and give up five straight goals after a bad bounce Saturday. I'll take a split against the top-ranked team in the nation. Let's talk about the good and the bad from the weekend that was. 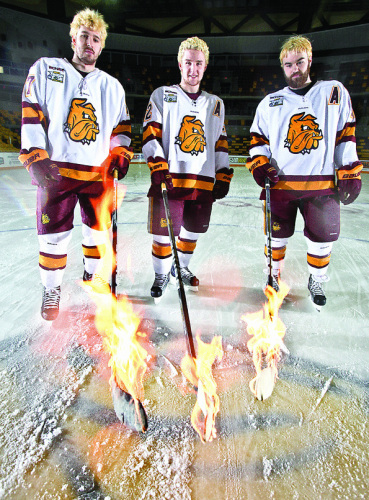 This year the Bulldogs play both home and away series with only three teams in the WCHA: Alaska-Anchorage, Mankato, and Michigan Tech, AKA the three perennial conference doormats. Not one of these teams has finished above 8th place for the last three years, and they're expected to finish 10th, 11th and 12th again this year. Now this is good news for the Bulldogs because they can rack up conference points and have a good shot at making the Final Five. Also winning builds confidence, which will be important to a squad that just lost three of its top six scorers and its top two defensemen. In the long run a weak schedule will negatively affect UMD's Pairwise ranking, which could leave the Bulldogs on the outside looking in if they're on the bubble come NCAA tournament selection day. Sandelin briefly flirted with the brand-new Penn State coaching vacancy, but ultimately ended up signing a fat extension on the heels of his first ever national championship. Assistant Coach Brett Larson did leave, however. 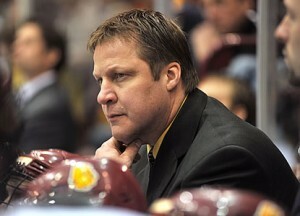 He took a hefty raise to become the Sioux City Musketeers' (USHL) head coach/general manager. Sandelin replaced Larson with fellow UND alum Jason Herter, who, oddly enough was the head coach/general manager of the Fargo Force (USHL) last season. Recent UMD alums Justin Fontaine (Wild), Mike Connolly (Sharks), Evan Oberg (Panthers) and Dylan Olsen (Blackhawks) will begin the season in the AHL. Justin Faulk (Hurricanes) and Tim Stapleton (Jets) have a good chance to make the opening day roster. Mason Raymond hopes to be back by mid-season after breaking a vertebrae in Game 6 of the Stanley Cup Finals. Championship game hero Kyle Schmidt will play in Norway this season. What's less creative? The name or the logo? It all started when Penn State decided to take their hockey program to the Division I level behind an $88 million donation by Sabres owner Terry Pegula. This led to the formation of the Big 10 conference, which led to the formation of National Collegiate Hockey Conference (NCHC) which led to the leftover programs from the CCHA joining the depleted ranks of the WCHA. Also, as of today, Notre Dame, Bowling Green, and Alabama-Huntsville don't have a formal conference affiliation for the 2013-14 season, but that is sure to change. The Big 10 conference was a no-brainer once Pegula poinied up the cash for Penn State. They already have strong rivalries in place and a programming-hungry TV network to feed. The NCHC was a bit of a surprise, but I can understand the reasoning behind it. Top-tier WCHA and CCHA teams didn't want to get left behind money or recruiting-wise by the new, rich Big 10 conference, so they allied together to create their own powerful conference. Of course this ruins a lot of the decades of history and rivalries the two conferences had built. 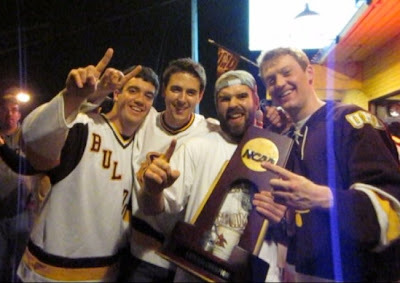 I, for one, loved that all five Division I hockey programs in Minnesota were in the same conference, because it made for great roadtrip opportunities. 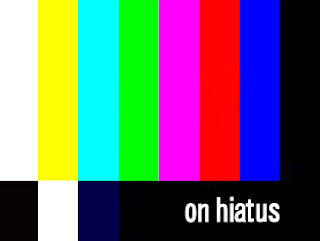 I doubt I will be driving out to Miami, Ohio or Kalamazoo, Michigan anytime soon to catch a series, but I suppose over the years that could change. The good news is that these new 'power conferences' will probably lead to a higher national profile for college hockey. It would be cool to see college hockey get a shoutout on SportsCenter every once in a while, or a package of nationally televised games on Versus/NBC Sports. The bad news is that it segregates college hockey into the haves and the have-nots. It's like in college football and basketball, where there are the power conferences and the mid-majors, and I'm not sure Division I college hockey is popular enough to sustain a whole sub-division of mid-major programs. 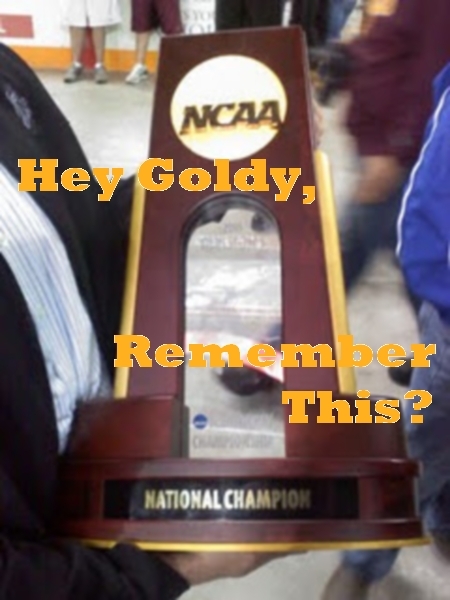 Only time will tell if the 2011 offseason brought good or bad onto the world of college hockey. In the meantime let's just agree to enjoy the season. Season preview starts tomorrow, with one post going up every day until puck drop Friday against Notre Dame. Summer is here and it's probably sunny out. Go outside and turn that pasty white into peeling pink. Back in July with some season review/preview stuff. The biggest loss of the offseason was Mike Connolly signing with San Jose. He was UMD's best player last season, and due to his size he wasn't a lock to go pro like Justin Faulk was. But his cocky, feisty on-ice demeanor combined with the NHL's efforts to crack down on clutching and grabbing bode well for his professional success. It would be awesome to see him on the ice with Stalock in the Shark Tank in the near future. As expected, Justin Faulk signed with the Hurricanes and is skating with their AHL affiliate, the Charlotte Checkers in the playoffs this week. I can't imagine that booming slapper and remarkable poise (especially for a 19 year-old) keeping him in the AHL for long. Justin Fontaine signed with the Minnesota Wild. This was somewhat expected, as he skated at the Wild's Development Camp last offseason and played well. This signing comes on the heels of the Wild locking up Chay Genoway to a max deal. As a college hockey and Wild fan I'm pleased to see the Wild brass go after top college talent. Head Coach Scott Sandelin confirmed today that he will interview for the Penn St. head coaching vacancy. The Penn St. job is the premier opening in college hockey, with billionaire Buffalo Sabres owner Terry Pagula bankrolling the program. Penn State is expected to spend between $200K-350K on their first head coach. Sandelin made $169,552 in 2009, and has one year left on his deal. I expect him to stay at UMD and leverage the Penn St. interview into a hefty raise, but it is worth noting his wife graduated from Penn St.
No one else from the reigning national champs is expected to leave early. Brady Lamb, JT Brown, and Travis Oleksuk are possible candidates, however. Mike Montgomery is expected to sign a professional contract sometime this offseason and Kyle Schmitt has stated that he would love to continue his career professionally in the US or Europe next year. Best of luck to both of them. NATIONAL CHAMPS!!! After opening with a championship celebration montage, we break down the game period by period and offer five thoughts to chew on. Later we preview next season and give out some awards. If nothing else tune in for Kriz's ridiculous screams I caught on tape right after we won it all. How great was his celebration? The sliding snow angel is a special move. I might try that next time I score playing pickup hockey out in Hermantown. (cue Jack's super Minnesoootan accent) "Yeah... I was definitely a little choked up. Ya know, being a hometown kid, making history, first national championship in the program, especially having it down here in St. Paul having my family and friends watch me, and ya know, now we got two (national titles) in the family now, got to match my brother (Jack's brother Chris won a national championship in 2009 with Boston University) which was definitely a special moment for me. The Bulldogs are playing for a national championship tomorrow. How did this happen? As a Minnesota sports fan, I'm conditioned to expect failure from my favorite teams: the Viking's traumatic embarrassments in '98, '00, and '09, Timberwolves' eight straight first round playoff exits and subsequent slide into becoming the NBA's worst team, Twins losing five straight playoff series, ten years of consistently mediocre and underwhelming Wild hockey, the underachieving Tubby Smith teams and Tim Brewster's disastrous reign, the list goes on and on. It should be no surprise that the Bulldog's collapse in the 2004 Frozen Four came to mind yesterday as we entered the third period with that dangerous two goal lead. All year everyone knew the Bulldogs were capable of contending for the national title. After a second half slide punctuated by an overtime loss to Bemidji in the Final Five, UMD fell out of the short list of contenders. Many, including myself, thought that the Bulldogs' inconsistent defense and goaltending was too much of a question mark to build a sustained playoff run. Yet here we are now. Sixty minutes away from a national championship. Three things, above all else are essential to playoff success: special teams, goaltending, and luck, and the Bulldogs gotten huge contributions in all three of these categories. 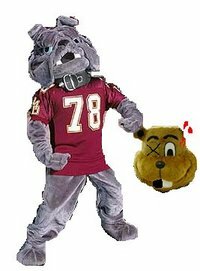 The Bulldogs got lucky by being put in the East Regional. They got to play two overrated teams from the EZAC and that allowed them to build a lot of confidence going into the Frozen Four. Yesterday they faced Notre Dame, a very solid team from top to bottom, but one that was seeded lower than us in the Pairwise. UMD made the championship game without playing a top five team. Michigan had to beat a big, physical UNO squad led by the best coach in college hockey, a Colorado College team that hung up eight goals on the defending national champion, and North Dakota, the consensus title favorite all season long. Nevertheless, the Wolverines have had some luck of their own too, escaping their first round tilt with UNO on a very questionable goal in overtime. A goal that only became a goal only after a lengthy replay review. Kenny Reiter was great in the NCAA Regional, shutting out Union and standing tall during the early onslaught against Yale. Yesterday he slipped back into regular season mode, giving up a couple of softies in the first period before settling down and making enough plays to hold on for the win. Which Kenny will show up for the championship? Above all else, UMD will have to rely on its unbelievable special teams tomorrow. The Bulldogs' penalty kill has been equal parts opportunistic and sacrificial, which is why they have killed off 19 of 22 penalties in the playoffs. Guys have been just eating pucks lately. We have almost double the blocks that our opponents have since the beginning of the NCAA Tournament, and it seems like every time the opposing team makes a mistake on the powerplay, we track the puck down and clear it. Notre Dame had a man advantage five times yesterday, and they managed just TWO SHOTS. It's funny how cyclical this season has been. UMD started off hot, with the top two lines clicking and lots of puck luck. The goaltending and defense wasn't great, but it was almost always good enough to win. Then the Bulldogs came back to earth just long enough to put serious doubts in the minds of the fans, only to turn around and play the same exact way they did at the beginning of the season in time for the playoffs. So now here we are: a team with two great lines, great special teams and juuust good enough defense and goaltending. I wanted North Dakota, but most of all I want a national title. And the Bulldogs will have a shot at that Saturday night. After losing only once in their last nine regular season games, the Fighting Irish finished second in the CCHA to fellow Frozen Four participant Michigan. Much like the Bulldogs, they had a disappointing showing in the conference tournament, getting routed by Miami 6-2 in the semifinals and losing 4-2 to Michigan in the third place game. Notre Dame ended up ranked 11th in the Pairwise (UMD finished 9th) and received the 3 seed in the Northeast regional. In the NCAA tournament's opening round they beat Merrimack 4-3 in overtime. Former Edina (previously of St. Thomas Academy) football and hockey star Anders Lee scored the game-winning goal. More on him later. In the quarterfinals Notre Dame beat New Hampshire 2-1. I watched about half of this game and it was pretty entertaining. Lots of chances for both squads, but in the end Notre Dame goalie Mike Johnson was just too damn good. The Irish are 0-2-1 vs. the WCHA this season, losing to Mankato, and losing and tying in a series with the Sioux in Grand Forks. 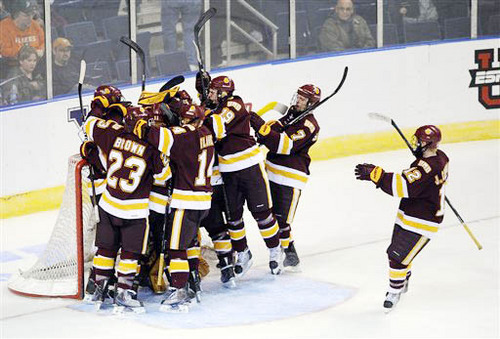 They beat UMD 3-1 in the teams' last meeting, which was two years ago. Led the Irish with 24 goals this year. Big, Strong, Athletic. 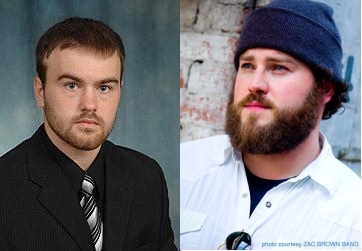 Think Dylan Olsen, if he played wing. Lee played quarterback for Edina and was the 2008 Star Tribune Metro Player of the Year, so yeah, he's quite an athlete. Led the Irish with 53 points this year. Small, Quick, Ginger. Think Jack Connolly. Named College Hockey News and CCHA Freshman of the Year. Not a great fighter. Carried Notre Dame for stretches in the Northeast Regional. Named Regional MVP, stopping 69 of 73 shots. He's young, but he's good. The Irish are young - 12 freshman and five seniors on their roster, whereas UMD has six seniors/seven freshman - but the upperclassmen have experience. Notre Dame has made the NCAA Tournament three of the last four years. From what I saw against New Hampshire, they are pretty skilled and would rank right up with the upper echelon of the WCHA. That being said, it's always dicey when a team relies on freshman to score in high-pressure games. The Bulldogs have the top line in the nation, a hot goalie, just knocked off the #1 overall seed (yes Yale was way overrated, but still) and the Xcel will be full of UMD fans. This will be our toughest playoff test so far, but I feel pretty good about the game overall. I would love to see an all-WCHA final and get another crack at the Sioux, and I think we will. Bulldogs over Notre Dame and Sioux over Michigan. Let's do it boys. THE BULLDOGS ARE GOING TO THE FROZEN FOUR!! 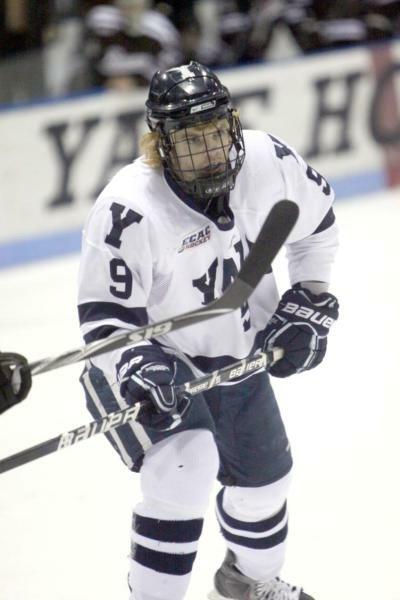 We bring East Regional MVP Kenny Reiter into the studio to discuss the victories over Union College and Yale, and also the blonde thing. 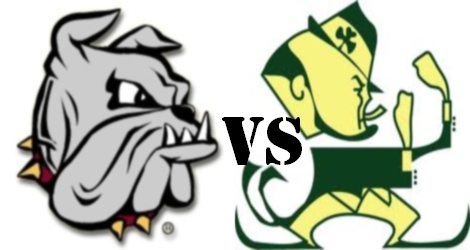 Later Kriz and I preview Thursday's game against the Fighting Irish of Notre Dame. We're going to the Frozen Four! Midway through the second period Yale's star forward Brian O'Neill scored to bring the pride of the ECAC to within two goals of UMD. Eight seconds later he was sent off for contact to the head on a vicious hit on Jake Hendrickson, and it was all over after that. We got two goals in the next 72 seconds to go up 5-1 and the rest is history. FROZEN FOUR BOUND! Whoohooo! The top line combined for nine points and three pretty goals and Kenny Reiter is playing out of his mind right now. This is good. This is very good. We play the winner of New Hampshire-Notre Dame, who square off at 7 tonight. I'll have more on whoever wins tomorrow, but for now let's celebrate. Union goalie Keith Kinkaid was as good as advertised but it was Kenny Reiter who walked away with the shutout. Kenny was great, keeping UMD in the game early on through some shaky penalty kills. 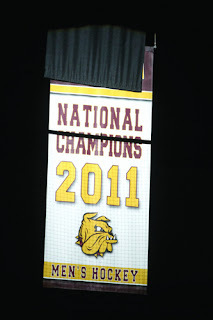 Overall though, the PK was great for UMD. Did you know Union College had the best power play in the nation? Well, they went 0-9 yesterday. 17 penalties were called total. According to RWD, 49% of the game was played 5x5. In the ref's defense, there was a lot of cheap stuff going on, but you gotta let em play in the playoffs. Union was who I thought they were. Obviously a talented team, but a team that looked nervous and inexperienced. A team coming off two straight losses to lowly Colgate and not accustomed to facing the depth and talent found throughout the WCHA. So how good is Yale? I don't think they impressed anyone last night, eeking out an OT win over #16 seed Air Force. Their best win all year was a 5-1 victory over Colorado College (sans Jaden Schwartz) back in November. They've been overrated by Pairwise all year, and I feel we will be playing in St. Paul next weekend at the Frozen Four. Colorado College looked impressive in the Final Five last weekend and continued that yesterday, beating defending champ Boston College 8-4. Must be that #tigerblood. Or the Schwartz brothers are really, really good. UNO was ousted by Michigan on a controversial call in OT. Here's what happened: Michigan put a puck underneath UNO goalie John Faulkner's pads and it was originally ruled no-goal on the ice. After a ten minute review, the refs reversed the call, calling it a goal and ending the game. Although there is no clear, definitive evidence, it was pretty clear that the puck crossed the line. This week we break down the Final Five, including UMD's disappointing overtime loss to Bemidji on St. Patty's Day. Then we look ahead to NCAA tournament. The Bulldogs were seeded ninth overall and lucked into a weak bracket, so we have a very real chance at a Frozen Four berth. 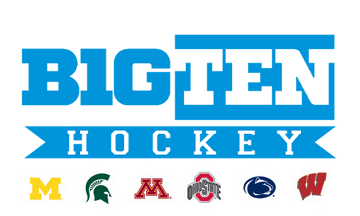 Later we talk about the positives and negatives to take from the formation of the Big Ten hockey conference, which was officially announced on Tuesday. The Maroon Loon: Where Did He Go? Why Does Huntsville, Alabama Have a Division I Hockey Team? 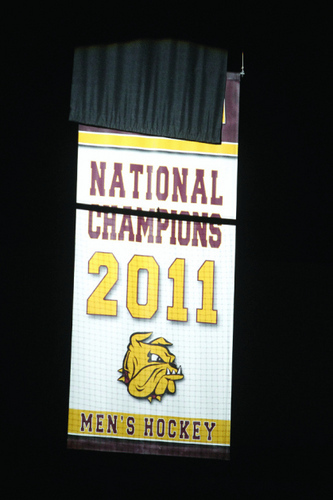 Gopher Week Questions: How Long Will it Take for Amsoil Arena to Become a Hockey Arena?